Are you a homeowner looking to take some cash out of your property? You are not alone. Most homeowners realize that a home equity loan can be the most cost effective way to get the cash they need for many purposes. With rising property values, now is a good time to pay off high interest rate debts, fund home improvements and college educations or get cash for almost any other reason. You have probably heard that home equity loans a pretty hard to find these days and that the big banks only offer them to those with perfect credit. The good news is, you are in luck. Home equity loans are making a comeback and are easier to qualify for now than in recent years. 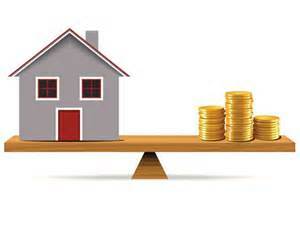 In fact, our new home equity loan programs are much more flexible and even allow bad credit. That’s right, you don’t need good credit, or even average credit to get approved for these home equity loans. Are Lower Scores Allowed on Home Equity Loans? Yes, with our lower credit score requirements (down to 500 credit scores) and shorter waiting periods since major credit events like, bankruptcy, foreclosure and short sales (only one day for some programs), we are obtaining more and more loan approvals. In 2016, Yahoo Finance reported that the national average credit score was 692. So, you can have a score well below the national average and still get approved for a home equity loan using our new programs. What’s the catch? You do need some equity. Since property values have been increasing over the last few years, most homeowners have more equity. Your property value may be higher than you think it is. Why don’t you hear about these loans? Because the big banks don’t like these loans. They are mostly catering to the perfect credit borrowers with large deposits. They set their credit qualifying requirements really high to eliminate “risky” loans so they look good to the federal regulators and their shareholders. Be careful with the big banks, they are require to let you apply, but are not required to accept any bad credit. Our company works directly with some of the largest wholesale mortgage banks in the nation that specialize in these loans. We have provided home equity loans since 1991 and know how to help you get approved. If you have been denied for a home equity loan because of bad credit, don’t get discouraged. Just consider working with the right people who know how to help you. Let’s keep it simple… you don’t need excellent credit, or even average credit, just some equity in your home. It is very easy to determine how much of a loan you can qualify for, how much cash you can get out and what the monthly payments will be. Are you ready to see what a new home equity loan can do for you? Get qualified in 5 minutes. Call 800-607-1941 x220. Brian and his team have been funding Home Loans for over 27 years.